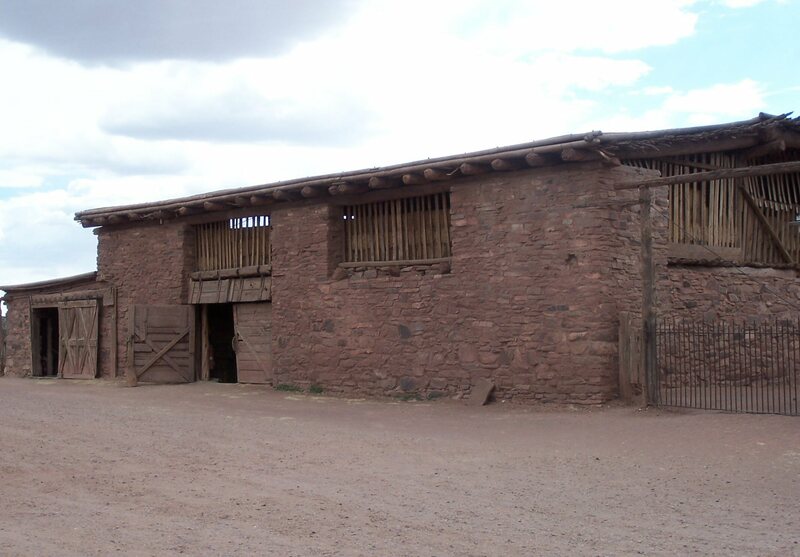 Located in northeastern Arizona in the Navajo Nation, the Hubbell Trading Post commemorates the important role of the Native American trader in the Southwest. It still functions much the way John Lorenzo Hubbell operated it in the late 1800s, and is internationally renowned for authentic and high-quality Native American arts. Reservation trading posts were often the only direct point of contact between Native and non-Native Americans until well into the 20th century. During his half-century on the reservation, John Lorenzo Hubbell's contributions as a trader were significant. He was known for his honesty in business dealings, for his hospitality, and for his wise counsel to the Navajo. 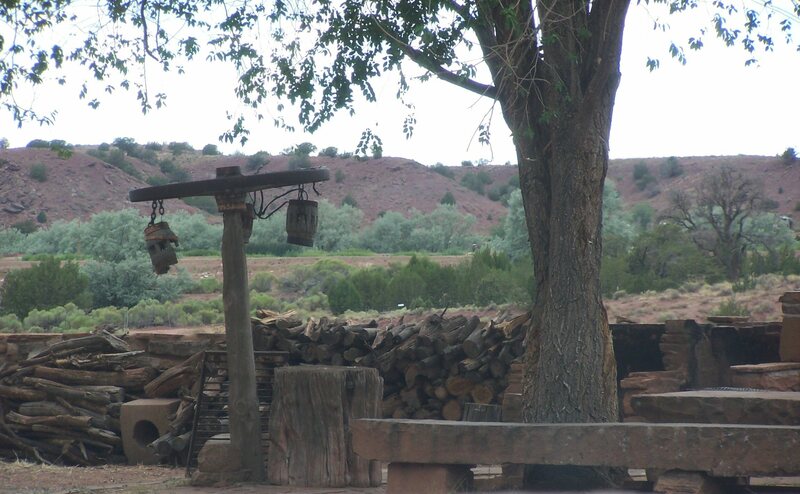 From the beginning, Navajo people gathered at the post he established near Ganado, Arizona, where Hubbell acted not only as their merchant but served as their liaison to the world beyond the reservation. As a trusted friend, he translated and wrote letters, seltled family quarrels, explained government policy, and helped the sick. At the Post, you may buy arts and crafts, jewelry, and rugs. 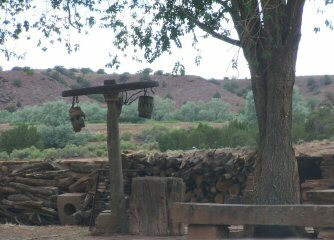 In the area there's picnicking, you can tour the Post and the Hubbell home, and watch Navajo weavers at work. There is a bookstore, and a place to stamp your passport. 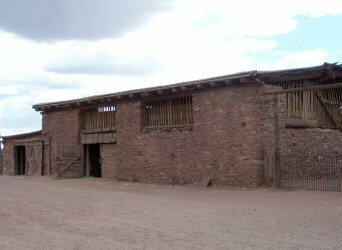 The Trading Post is still operational, and looks much as it did 100 years ago. Visitors can walk through that, and the Hubbell home, the wareroom extension, the barn, corrals and sheds, a stone bunkhouse, and more. Hubbell had his share of well-known visitors, including former President Theodore Roosevelt, and author Mary Roberts Rinehart. 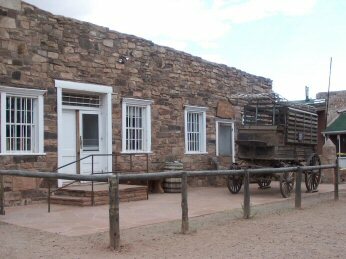 Hubbell Trading Post is not on the way to any particular place (sorry, Ganado residents), but I did get there earlier this year. It was summer in northern Arizona, and I was grateful for the cloud cover (it later poured). It made my visit to Hubbell that much more enjoyable. It was not busy at all, and I was able to linger around the Trading Post and grounds without any kind of crowd, and get a kind of feel for how it must have been to live before autos and air conditioning. 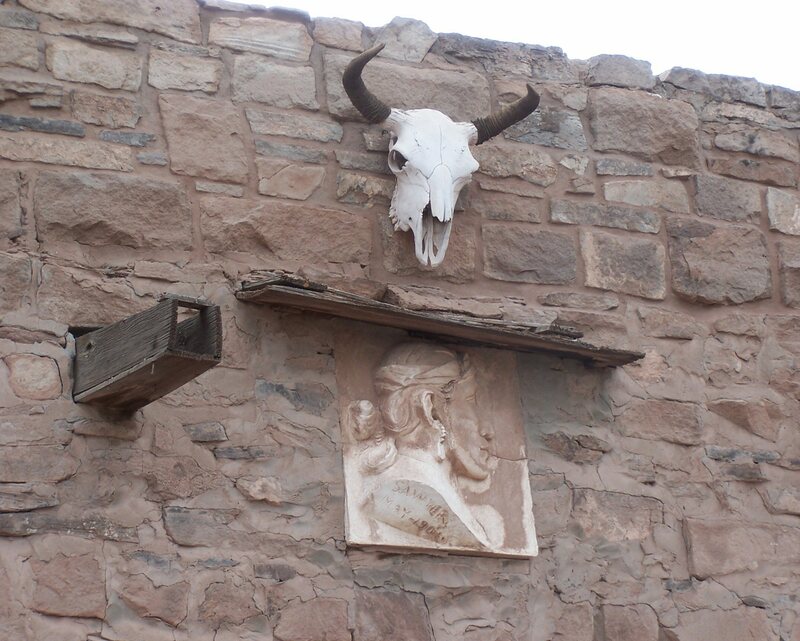 Hubbell Trading Post is not an exciting stop, but it's certainly an enjoyable one. I recommend it as a pleasant interlude. 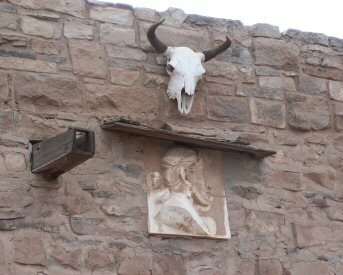 This Monument is in northern Arizona, near the New Mexico border. From I-40, take exit 333 and go north on Highway 191 for about 39 miles to Ganado. The Site is about half a mile west of Ganado on Highway 264. Canyon De Chelly National Monument is about 35 miles to the north. Navajo National Monument is about 70 miles to the northwest. Petrified Forest National Park is 40 miles to the south. El Morro National Monument and El Malpais National Monument are about 90 miles to the east, and Chaco Culture NHP is 95 miles to the northeast, all in New Mexico.